CloudSkills.fm is a podcast by fellow Microsoft MVP Mike Pfeiffer and veteran in the tech space with 5 books under his belt and numerous courses on Pluralsight. The podcast can be found here: cloudskills.fm. Mike is an all around good guy and I was honored to be a featured guest on one of his podcast episodes. The podcast is weekly with technical tips and career advice for people working in the cloud computing industry. The podcast is geared for developers, IT pros, those making move into cloud. 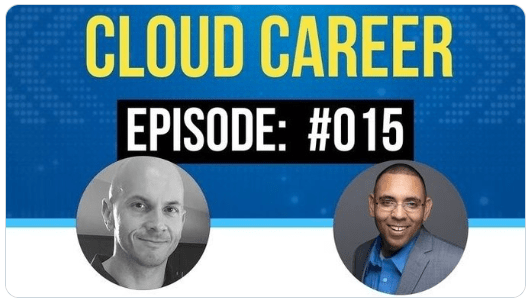 Also on you can listen here: iTunes: https://podcasts.apple.com/ca/podcast/cloudskills-fm/id1448194100 and PlayerFM: https://player.fm/series/cloudskillsfm/ep-015-managing-your-cloud-career . I’m very excited Opsgility recently published a new Azure course by me titled: “Deploy and Configure Infrastructure”. This course is part of the AZ 300 certification learning path for Microsoft Azure Architect Technologies. More about the AZ 300 certification can be found here: https://www.microsoft.com/en-us/learning/exam-az-300.aspx. The course is over 4 hours of Azure content! In the course learn how to analyze resource utilization and consumption, create and configure storage accounts, create and configure a VM for Windows and Linux, create connectivity between virtual networks, implement and manage virtual networking, manage Azure Active Directory, and implement and manage hybrid identities. This year’s summit was one of the best MVP summits I have been to since being a Microsoft MVP! I focused on Azure, Azure Stack, containers, and orchestration platforms. That’s about all I can say about the summit. Everything else is NDA! It was full of cool stickers starting off with one for the 2019 MVP Summit. Here are a some of the core CDM MVPs in front of building 92 including Bob Cornelissen, John Joyner, Janaka Rangama, Jakob Svendsen, Sam Erskine, Cameron Fuller, Robert Hedblom, Dieter Wijckmans, and others. Lately I have been hearing a lot about a solution named Rancher in the Kubernetes space. Rancher is an open source Kubernetes Multi-Cluster Operations and Workload Management solution. You can learn more about Rancher here: https://www.rancher.com. In short you can use Rancher to deploy and manage Kubernetes clusters deployed to Azure, AWS, GCP their managed Kubernetes offerings like GCE, EKS, AKS or even if you rolled your own. Rancher also integrates with a bunch of 3rd party solutions for things like authentication such as Active Directory, Azure Active Directory, Github, and Ping and logging solutions such as Splunk, Elasticsearch, or a Syslog endpoint. Recently training opened up for some Rancher/Kubernetes/Docker training so I decided to go. The primary focus was on Rancher while also covering some good info on Docker and Kubernetes. This was really good training with a lot of hands on time, however there was one problem with the labs. The labs had instructions and setup scripts ready to go to run Rancher local on your laptop or on AWS via Terraform. There was nothing for Azure. I ended up getting my Rancher environment running on Azure but it would have been nice to have some scripts or templates ready to go to spin up Rancher on Azure. I did find some ARM templates to spin up Rancher but they deployed an old version and it was not clear in the templates on where they could be updated to deploy the new version of Rancher. I decided to spend some time building out a couple of ARM templates that can be used to quickly deploy Rancher on Azure and add a Kubernetes host to Rancher. In the ARM template I pulled together it pulls the Rancher container from Docker Hub so it will always deploy the latest version. In this blog post I will spell out the steps to get your Rancher up and running in under 15 minutes. 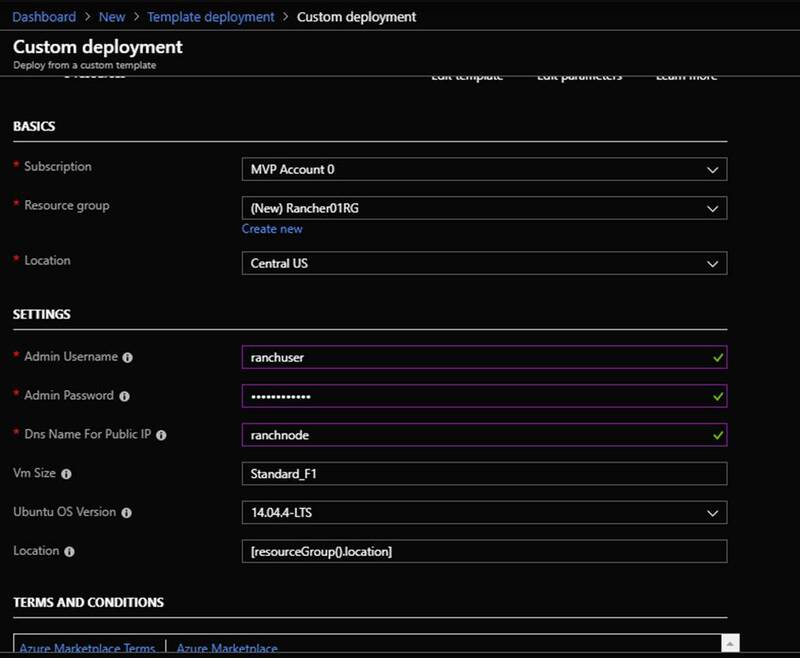 First off you can find the ARM Templates here on my Github here: https://github.com/Buchatech/DeployRanchertoAzure. The repository consists of ARM templates for deploying Rancher and a host VM for Kubernetes. NOTE: These templates are intended for labs to learn Rancher. They are not intended for use in production. In the repo ARM Template #1 named RancherNode.JSON will deploy an Ubuntu VM with Docker and the latest version of Rancher (https://hub.docker.com/r/rancher/rancher) from Docker Hub. ARM Template #2 named RancherHost.JSON will deploy an Ubuntu VM with Docker to be used as a Kubernetes host in Rancher. The Rancher portal will prompt you to set a password. This is shown in the following screenshot. After setting the password the Rancher portal will prompt you for the correct Rancher Server URL. This will automatically be the Rancher Node VM DNS name. Click Save URL. You will then be logged into the Rancher portal. You will see the cluster page. From here you will want to add a cluster. Doing this is how you add a new Kubernetes cluster to Rancher. In this post I will show you how to add a cluster to the Rancher Host VM. When it’s all said and done Rancher will have successfully deployed Kubernetes to the Rancher Host VM. Note that you could add a managed Kubernetes such as AKS but we won’t do that in this blog. I will save that for a future blog post! Under “From my own existing nodes” Click on custom, give the cluster a name and click Next. Next check all the boxes for the Node Options since all the roles will be on a single Kubernetes cluster. Copy the code shown at the bottom of the page, click done and run the code on the Rancher Host. In the Azure Portal, from within the resource group click on the Rancher Host VM. On the Overview page click on Connect. Copy “ssh ranchuser@rancherhost.centralus.cloudapp.azure.com” from the Connect to virtual machine pop up screen. 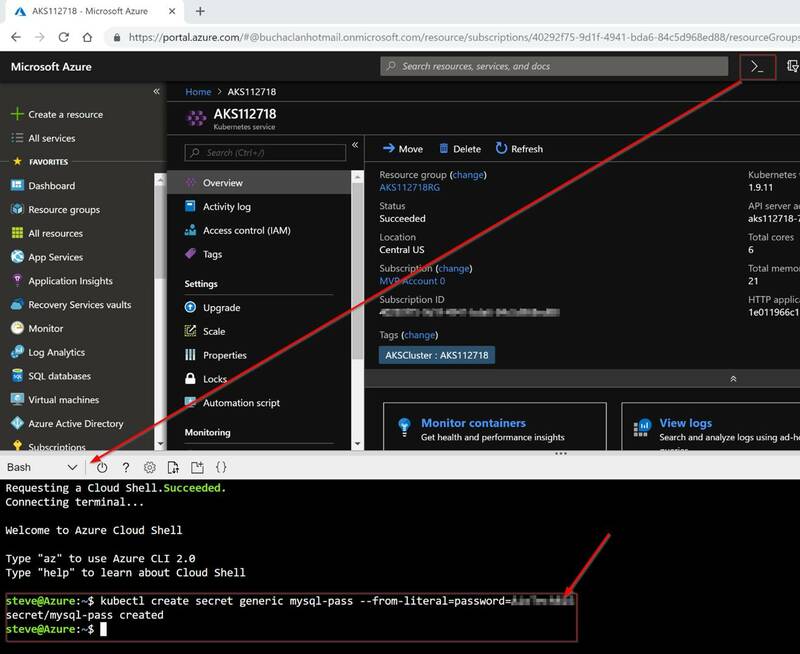 Open a terminal in either Azure cloud shell or with something like a terminal via VS Code and past the “ssh ranchuser@rancherhost.centralus.cloudapp.azure.com” in. When done you can run Docker PS to see that the Rancher agent containers are running. The status will change as Kubernetes is deployed. Once it’s done provisioning you will see your Kubernetes cluster as Active. From here you can see a bunch of info about your new Kubernetes cluster. Also notice that you could even launch Kubectl right from hereand start running commands! Take some time to click around to see all the familiar stuff you are used to working with in Kubernetes. This is pretty cool and simplifies the management experience for Kubernetes. If you want to add more nodes or need the configuration code again just click the ellipsis button and edit. In Edit Cluster you can change the cluster name, get and change settings and copy the code to add more VMs to the cluster. That’s the end of this post. Thanks for reading. Check back for more Azure, Kubernetes, and Rancher blog posts. 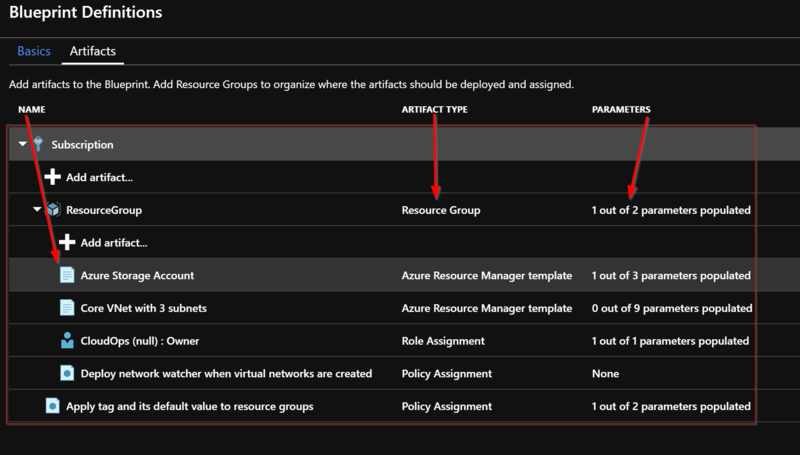 Azure Policy can be used to enforce rules and effects on resources in your Azure subscriptions. 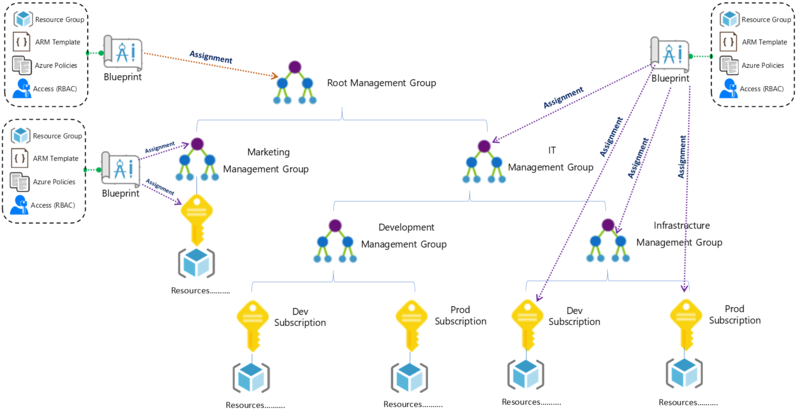 It is a part of the Azure Governance and management toolbox native to Azure. I actually wrote a blog post all about Azure Policy here as a part of my native cloud management in azure blog series. 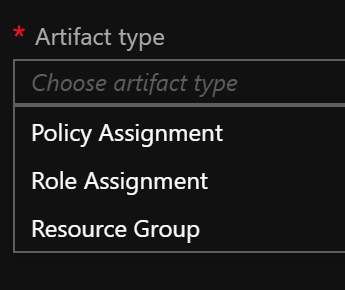 https://docs.microsoft.com/en-us/azure/governance/policy/samples/enforce-tag-on-resource-groups . 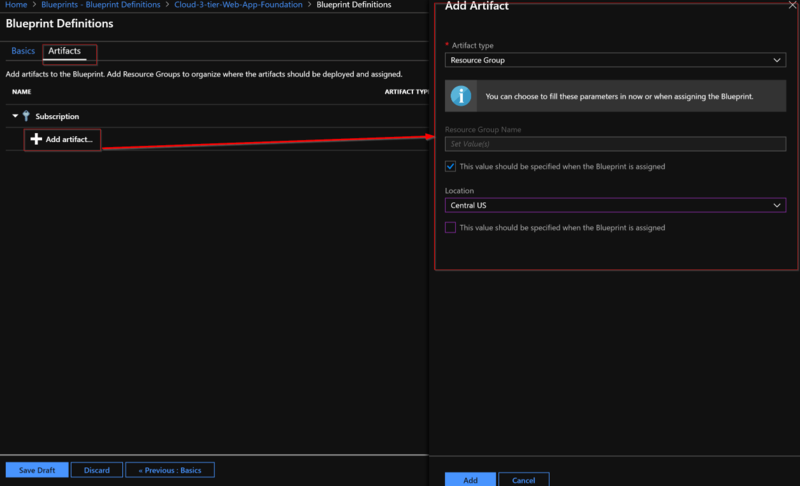 What is not clear with the this policy template is how to add an enforce additional tags within the single ARM Template. This is important as you don’t want to have multiple templates to enforce multiple tags. "description": "Provides information on what the resource group is used for (useful for maintenance, policy enforcement, chargeback, etc.) Tag value: Dev, QA, Stage, Test, Prod. Example: Prod"
"description": "Provides a charge code or cost center to attribute the bill for the resources too. Tag value: Cost Center. Example: team@domain.com"
"description": "Provides information on department or team is responsible for administering/supporting the application. Tag value: Team name/email. Example: 1506548"
"description": "The Business app owner to contact. Tag value: Business App owners’ email. Example: name@domain.com"
The next time someone deploys a resource group without the required tags in the subscription this policy is assigned to it will fail. The first thing we need to do is save these files as mysql-deployment.yaml and wordpress-deployment.yaml respectively. Note: Replace “PASSWORDHERE” in the syntax with your own password. You also can see the secret in the Kubernetes dashboard as shown in the following screenshot. 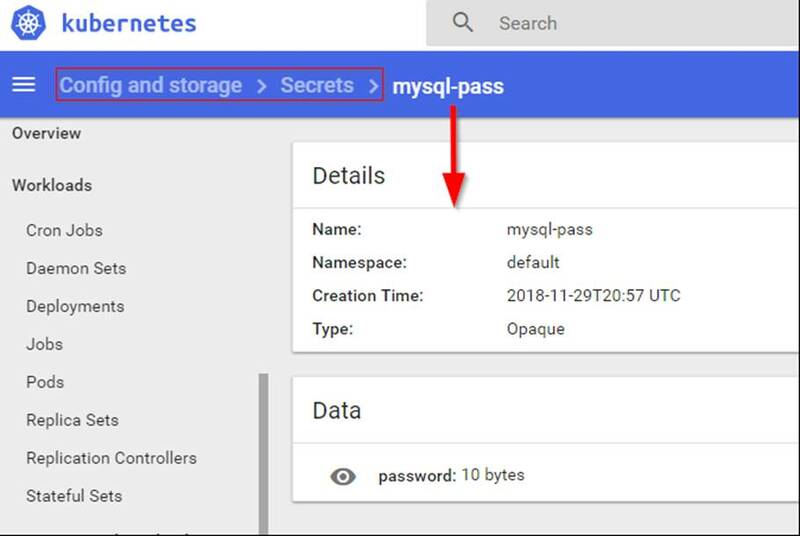 Next the mysql-deployment.yaml and wordpress-deployment.yaml files from the beginning of this post need to be uploaded to Azure cloudrive storage. You can also do this in the Cloudshell as shown in the following screenshot. Run ls in the shell to make sure the files are on your clouddrive. You will need your home drive. Mine was. /home/steve. To see this, click on Download. It will show you what yours is. Next create the MySQL Pod and service by running the following syntax. NOTE: You could use kubectl create /home/steve/mysql-deployment.yaml instead of apply to create the MySQL pod and service. I use apply because I typically use the declarative object configuration approach. kubectl apply essentially equals kubectl create + kubectl replace. In order to update an object after it has been created using kubectl create you would need to run kubectl replace. There are pros and cons to using each and it is more of a preference for example when using the declarative approach there is no audit trail associated with changes. For more information on the multiple Kubernetes Object Management approaches go here: https://kubernetes.io/docs/concepts/overview/object-management-kubectl/overview. With the deployment of MySQL and WordPress we created 2 services. The MySQL service has a clusterip that can only be accessed internally. The WordPress service has an external IP that is also attached to an Azure Load Balancer for external access. I am not going to expand on what Kubernetes services are in this blog post but know that they are typically used as an abstracted layer in K8s used for access to Pods on the backend and follow the Pods regardless of the node they are running on. For more information about Kubernetes services visit this link: https://kubernetes.io/docs/concepts/services-networking/service. Well now that we have verified the pods and the services are running let’s check out our new WordPress instance by going to the external IP in a web browser. Thanks for checking out this blog post. I hope this was an easy to use guide to get WordPress up and running on your Azure Kubernetes Service cluster. Check back soon for more Azure and Kubernetes/Container content. Azure Kubernetes Service (AKS) is a fully managed Kubernetes (K8s) offering from Microsoft on the Azure platform. AKS reduces the management overhead of running your own K8s instance while still being able to take full advantage of Container Orchestration. Microsoft takes care of the K8s health monitoring and maintenance. With AKS you only manage the agent nodes while Microsoft manages the master nodes. Also with AKS you get integration to many of the Azure services such as load balancers, RBAC, Azure storage etc. With the AKS managed service you only pay for the agent nodes within your AKS cluster. There is no cost for the master nodes and the managed service itself is free. At the time of this blog post AKS only supports Linux containers. There is a work around for this until Windows nodes and containers come to AKS. The Kubernetes API server is exposed as a public fully qualified domain name (FQDN). Access should be restricted on this. It can be restricted using K8s RBAC and AAD. Housekeeping is done, now let’s get into the deployment of AKS. The first thing you need to do within the Azure portal is go to Create a resource and search on Kubernetes. Select the Kubernetes Service. Let’s walk through each section. Here you need to give your AKS instance a name, select the region, K8s version, DNS prefix, and number of nodes and count. Kubernetes has its own RBAC within its authentication and authorization system. Azure Active Directory (AAD) can be integrated with this for authentication. Once the AAD and K8s integration is setup AAD users can be used for Kubernetes role-based access control (RBAC) to cluster resources. 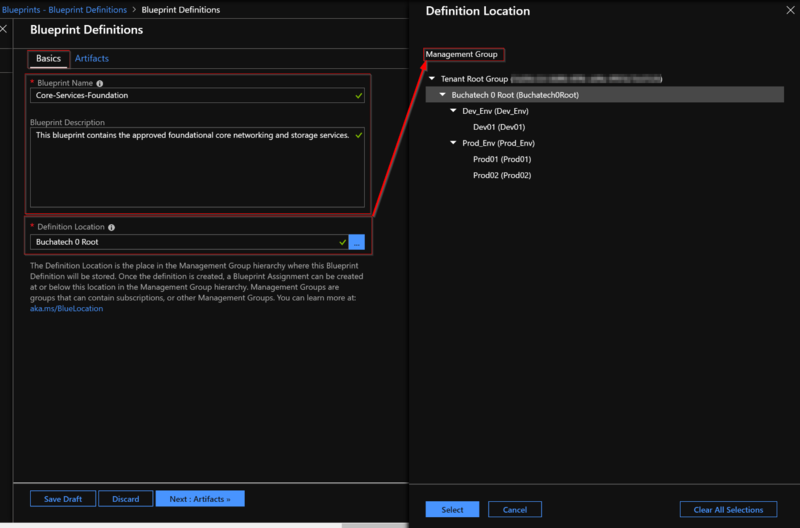 Select yes to enable RBAC and integration with AAD. It is recommended to setup your own service principle in AAD. For this blog post I let the deployment create one. The service principle is used by K8s for managing Azure cloud resources attached to the cluster. 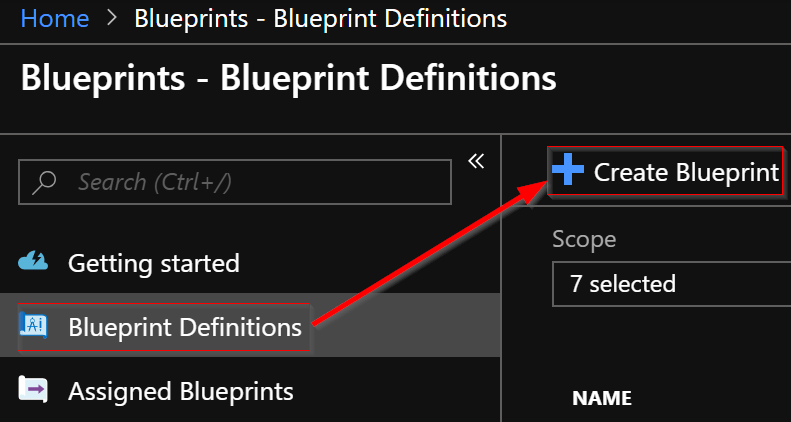 The service principle interacts with Azure APIs. For example when you setup a load balancer service in K8s AKS creates and Azure load balancer. The service principle is what is used for authentication to create the load balancer. In this section you chose what you want for networking with AKS. If you select basic AKS will create all needed VNets, Subnets, NSG’s etc. AKS clusters cannot use the following ranges 169.254.0.0/16, 172.30.0.0/16, and 172.31.0.0/16. If you select advanced you can chose an existing VNet or create a new one specifying the subnet, IP range and DNS settings etc. You would select Advanced if you need more control over the virtual networking. HTTP application routing is used to make application endpoints publicly accessible in the AKS cluster. Enabling this essentially configures an Ingress controller in the AKS cluster. When getting started with AKS I recommend leaving this disabled and doing more research on K8s Ingress Controllers here https://kubernetes.io/docs/concepts/services-networking/ingress as there are other options making applications publicly accessible. In the meantime while getting started with AKS you can use the load balancer service type for external access to your applications running on AKS. With AKS you have the option to utilize Container monitoring from Azure Monitor. This will give you performance and health monitoring. The monitoring data comes directly from an AKS cluster or from all the AKS clusters via Azure Monitor more specifically Log Analytics. In the future I plan to post a deeper blog about monitoring AKS. If you chose to enable this you will need to setup a new Log Analytics workspace or use an existing one. You can set tags for the AKS cluster. After all the sections are completed the new AKS will need to validate. After it is validated click on Create. 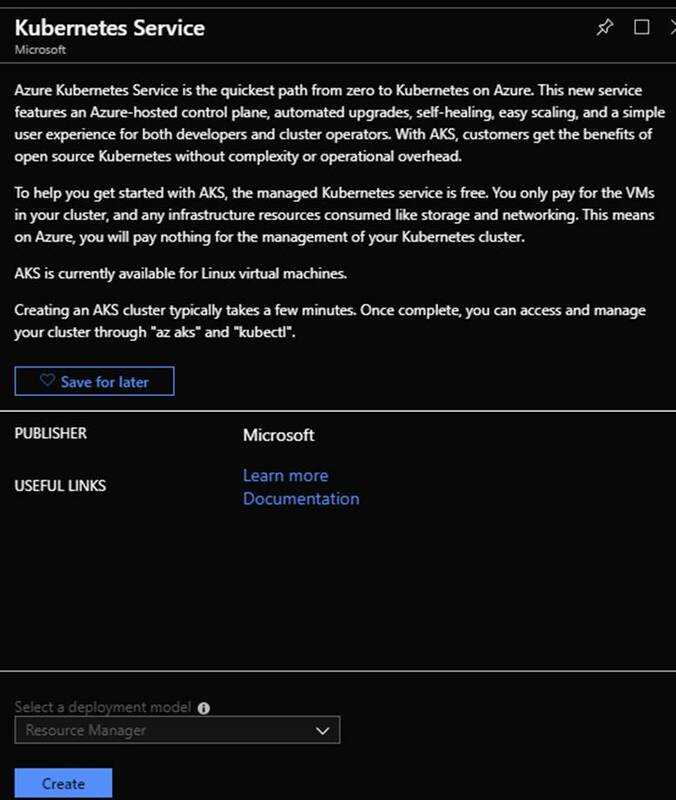 After the AKS cluster is created you will see it in Azure under Kubernetes services. Also you may notice two new resource groups in your Azure subscription. The first resource group will be the one you created during the AKS creation. This is the resource group that will contain the Azure K8s cluster service. If you selected an advanced network configuration during deployment to create a new VNet you will see that as well. You will also see a second resource group with a name format similar to MC_ResourceGroupNAME_AKSClusterNAME_REGION. As shown in the following screenshot I have a resource group named MC_AKS12118RG_AKS12118_centralus. This resource group contains the individual AKS cluster resources such as the nodes. This resource group also contains supporting Azure services like DNS, public IP’s, storage, load balancers, network security groups and more. Note do not make changes to the resources in this resource group directly. You should only make changes through the AKS service and K8s itself. For example when you deploy a new load balancer service in K8s the corresponding Azure load balancer will automatically be created. After the service principle account is all set go ahead and run the following syntax from Azure cloud shell. Running that syntax will output a URL similar to the one shown in the following screenshot. Click on this and it will open the K8s dashboard in a new browser tab. The following 3 screenshots show some of the K8s dashboard. 2018 is almost over and it was an exciting year jam packed full of adventures! In this post I will recap some of the highlights from 2018. At the start of 2018 I started a new job with Avanade as a Group Manager: Cloud Transformation/DevOps. Who is Avanade? Avanade 35,000 plus employees and is a global consulting firm focused on the Microsoft platform. Avanade is owned by Accenture and Microsoft. I have been at the firm for exactly a year. It has been a fun ride so far working with really smart people on some exciting and very large projects. After I joined Avanade featured me on a Q&A spotlight blog. I moved away from System Center related work to only working on Azure, Azure Stack, and DevOps project. I had been making this shifting in this direction for a couple of years but the new job helped me transition to the type of work I wanted to do. I am a firm believer in change and through change comes growth. I still have my System Center skills but for me it was time to make a change in my career focus to be challenged and keep growing. Looking back I would make the same choice over again. You can see this change reflected in the blog topics I have posted, topics I have presented on this past year. My new role with Avanade has also helped me move my focus to cloud and DevOps. I focused on and completed some Azure and DevOps certifications including: 70-535: Architecting Microsoft Azure Solutions and AZ-400: Microsoft Azure DevOps Solutions. However the one I am most proud of is the Microsoft Professional Program: DevOps. It took me 2 months to finish the training and all the labs to obtain the certificate. Here is a blog I posted about the training experience for the MPP: DevOps http://www.buchatech.com/2018/04/microsoft-professional-program-for-devops-finished. Here is a link to the my certificate: https://academy.microsoft.com/en-us/certificates/67284e84-8afe-4f13-b477-d7620949fb18. I highly recommend any of the Microsoft Professional Program tracks. It is excellent training! In 2018 I had a really cool opportunity to write a blog for the official Azure blog on Azure Stack and DevOps. Here is the title and link. 2018 was full of speaking opportunities from speaking at Azure events for Avanade, user groups, conferences and even on another continent. Here are highlights from where I presented in 2018. Note you can download the decks from any of the sessions on the previous links. 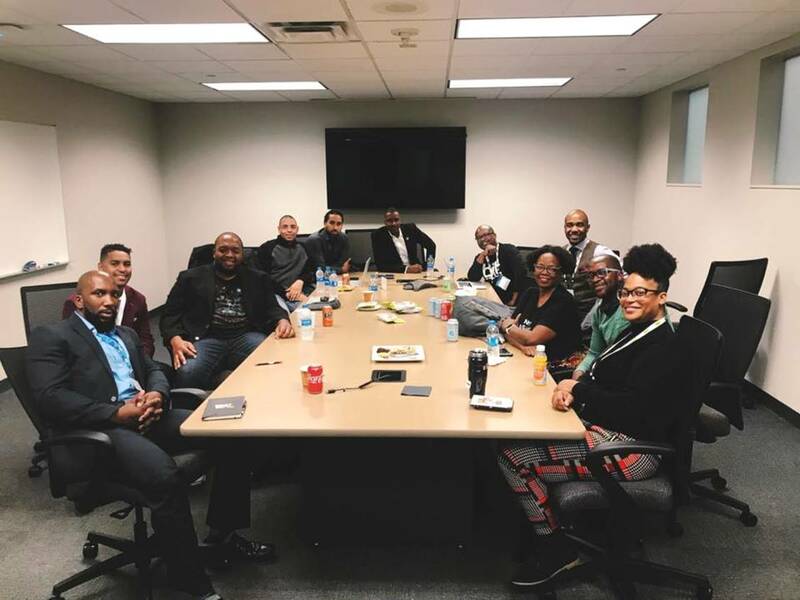 This was the Inaugural conference for Blacks in Technology. BITCon brought together all walks of life in tech such as professionals, entrepreneurs, influencers, subject matter experts, students, and thought leaders.